Rifle scopes are not an inexpensive addition to your equipment. A good scope from Vortex or even Nikon can cost more than your rifle, in some cases. So, with all of this in mind, you need to be sure about your turrets on the scope. What Kind of Turrets Are Available? Typically there are two main types of turrets available on rifle scopes. You have the exposed turrets that allow you to adjust the zero of your rifle at any moment. Then you have a capped turret, the cap will either be an actual cap that unscrews. Or a capped turret will be something that requires a tool to adjust, like a screwdriver. Occasionally capped turrets combine both a metal cap and an adjustment tool for added accidental adjustment protection. Why Choose Uncapped or Exposed Turrets? With the possibility of missing a zero mid hunt, choosing an uncapped or exposed her it may seem unwise to some. However to an expert marksman having an exposed tour it can be an asset. Exposed turrets allow you to adjust for windage and elevation with ease changing your zero on the target as you or the target move. Exposed turrets are going to be great for hunters who will have targets moving at different distances. In addition to distance differences, hunters that deal with rapidly changing climates will want to invest in an exposed turrets scope. Having the ability to adjust for windage as quickly as the weather changes will produce a much more fruitful hunt. If you had little experience zeroing a rifle then and exposed turret scope is not going to be ideal for you. You need to understand what goes into zeroing the rifle on the fly before you make adjustments mid hunt. This takes practice and getting used to before you can use it effectively in the field. The main reason that you should consider choosing a scope with capped turrets will be if you hunt in similar conditions all the time. If you set your tree stand in the same area season after season. You will know where the deer rut and you should have no problem knowing that your zero is going to hit on target. Stationary hunting and hunting in climates that don’t change are going to allow for people to hunt with turrets because you will not have to change your zero. If you plan on changing the distances in which you will shoot by hunting in open fields and ranges, then you may find that a capped turret scope leaves you wanting and without the ability to hit your target. Another reason to choose closed turret scope is to avoid accidental movement of the turrets. Traveling with a rifle and scope can lead to bumps on the turrents which can cause them to move. If you have exposed turrets finding that your zero has changed when trying to down that seven point buck is going to be extremely frustrating. To ensure that this doesn’t happen, buy a scope with capped turrets. Which is better in which situations? As far as turrets go, this may come down to a matter of personal preference. If you read through hunting forums many people, who use exposed turrets scopes claim that their turrets have never self-adjusted in the years that they have used them. Which is great, until it happens to you. 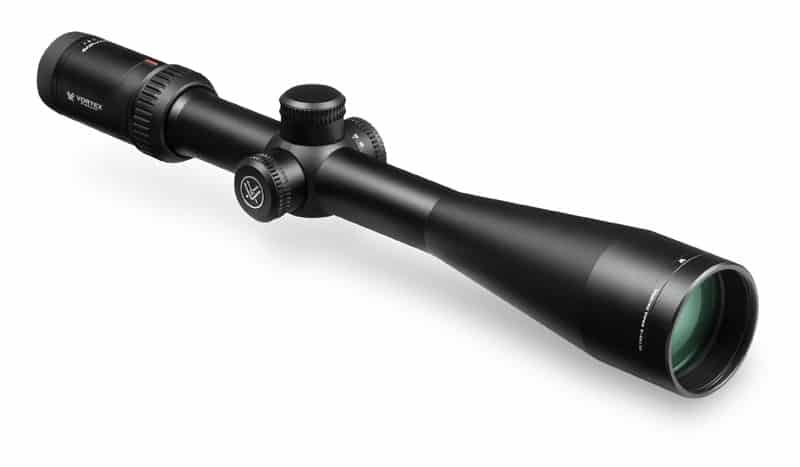 Many exposed turret scope manufacturers are creating scopes that have turret stops on them. This allows you to lock exposed turrets in place. This design element is convenient because you get the best of both worlds. You get the ease of access that comes from having the exposed turret with none of the worries that it will self-adjust. If you can find an exposed turret scope with turret locks, this is definitely one that you should purchase. Many people just like having the security of turret caps, once the rifle is zeroed, they don’t want to accidentally un-zero it in the middle of a hunt. This is understandable however many people have said it is highly unlikely. If you are heading out on a hunt, you should always zero your rifle beforehand to double check that it will work for your current situation. There have been some reports where turret caps have pulled off the entire inner workings of the turret on the scope. This is generally reported when people use aftermarket turret caps and not the turret caps that are sold with the scope. If you buy a scope that has exposed turrets and plan to cap them later just understand that you run the risk of damaging the turrets on the scope. If you want a capped turret scope from the get-go, you should just purchase one that is capped. This eliminates the risk of damaging the turrets and ensures that you get a long-lasting scope. If you do have a nice exposed turret scope that you wish to have caps made for, contact the original manufacturer. This is your best bet to avoid damaging the delicate turrets.